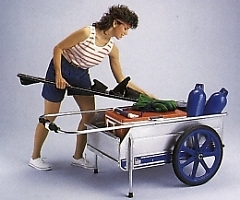 This cart is great for ride crews and for camp use, especially for transporting heavy items. 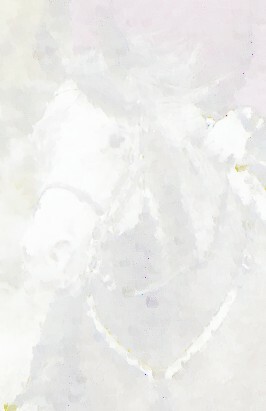 A must for rides like the Tevis. 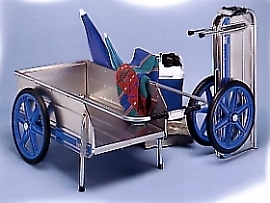 The Foldit collapsible cart is great for gardening, photographers, to the beach, the race track and home use too. *Balanced load dispersal means easy handling of heavy loads. *Marine-grade aluminum construction cleans up easily. 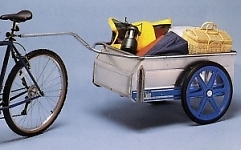 *Sturdy, retractable, removable legs (remove for use with optional garden tractor or bicycle hitch). Boaters know the toughest part of boating is usually hauling gear from the car to the boat and then back again. Down ramps, over docks...it's hard work! The Foldit marine cart hauls all those cumbersome boating supplies with ease...coolers, skis, anchors, mooring line...you name it. You'll spend less time and effort loading and unloading boats and more time on the water! 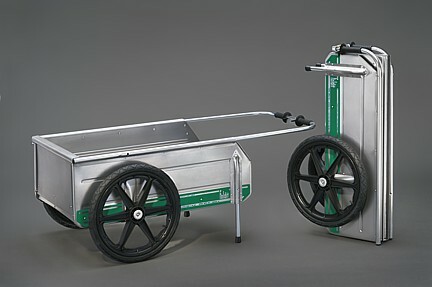 The difference is in this cart's extra-rugged marine-grade aluminum construction and stainless steel components. They assure complete rust and corrosion portection...even after years of exposure to saltwater spray. The Most Convenient Boating Accessory to Come Along in Years. Shown with standard height rear gate(above). See accessories. Full height rear gate(above). See accessories. *Balanced load dispersal means easy handling of heavy loads. *Marine-grade aluminum construction cleans up easily. 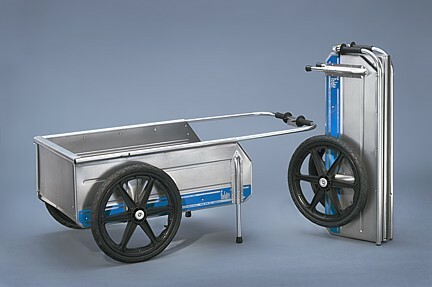 The difference is in this cart's extra-rugged marine-grade aluminum construction and stainless steel components. Order the above item with Paypal or credit card of your choice. Shipping charges for accessories are separate from cart. Shipping prices are subject to change without notice. Shipping prices for outside of US may be additional for some countries.